Why celebrate? Paying our federal taxes is actually an enormous collective action that we take to help everyone in our society. Taxes are the foundation for every successful government program from public education, to protected national parks, to social security. 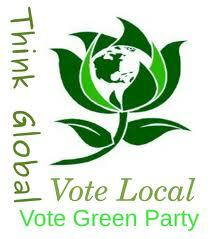 The Green Party understands that progressive taxation is the least we can do to create a just and equitable society. The Democrats and Republicans have perverted the progressive tax system at every turn. When corporations and millionaires avoid taxes and pay less than the rest of us, it doesn’t just hurt our economy. It’s a violation of a social contract. Political democracy is not possible without economic justice. But collective action isn’t just for tax day or just for election day. It must be part of our daily lives. 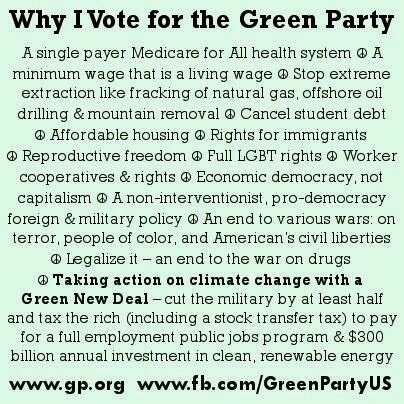 Take some time today, and support the Green Party. We need to spend the taxes as justly as we collect them. Military spending represents 54% of the annual budget, and the US government has spent $1.3 trillion on wars since 2001. The TARP bailout of $700 billion for corrupt banks has turned into $2.5 trillion over the last four years. These are the priorities of the President and Congress. There must be political and economic opposition to war and greed. Our taxes must prioritize universal health care, a massive investment in public education, and direct funding of green jobs, green manufacturing, and green infrastructure. Make peace and justice your priority. 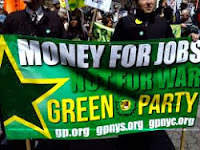 Donate to the Green Party today.